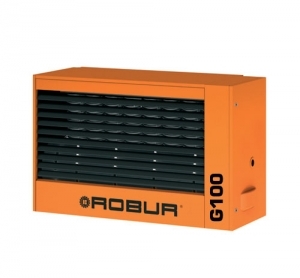 Robur condensing gas heaters combine high efficiency with energy savings. They bring greater comfort thanks to the automatically modulated flame and ventilation. The G series is a condensing and modulating space heater. It is most suited to large, occupied spaces with high ceilings, such as factories, warehouses and workshops. Lightweight – up to 40% lighter. Thermal efficiencies up to 105%, comparable with the best condensing boilers on the market. Capacities from 30 to 100kW. Air throws of 40 metres. Water distribution is not required, giving improved total system efficiency. Perfect modulation of heating output. 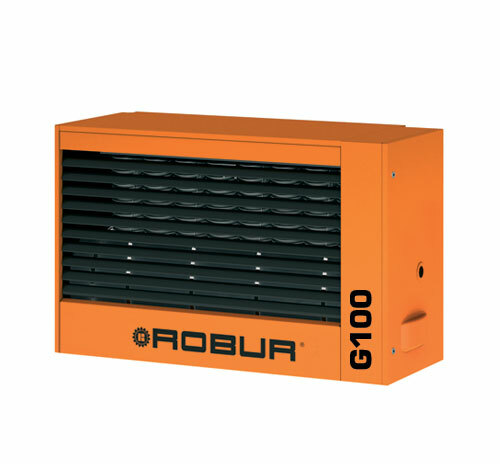 For more information, including technical specifications, see the G Series Heater on Robur.com.